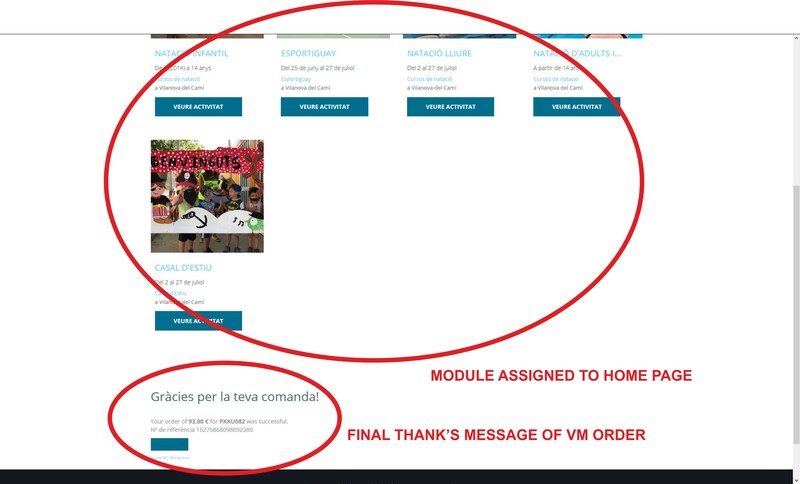 How can hide module assigned to home page in page of succesfull virtuemart order? In the module settings > 'Menu Assignment tab' have only the home page selected? It's possible to check the view or task and hide module(s) position(s) in the template to fix this problem. For tracking or to place modules on the orderdone page.